Substance Abuse is a harmful pattern of use of any substance for mood altering purposes which leads to frequent and serious problems. These problems can affect performance at school, work or home. Many times, relationships begin to suffer. Individual abusing substances often have trouble with the law. Substance abuse is not simply drug abuse. It also includes the use in inhalants, solvents, alcohol, caffeine, and cigarettes. Almost any substance can be abused. If you are concerned that you may have a problem with substance abuse, there are also symptoms that you can look for in yourself. Begin with the list above. 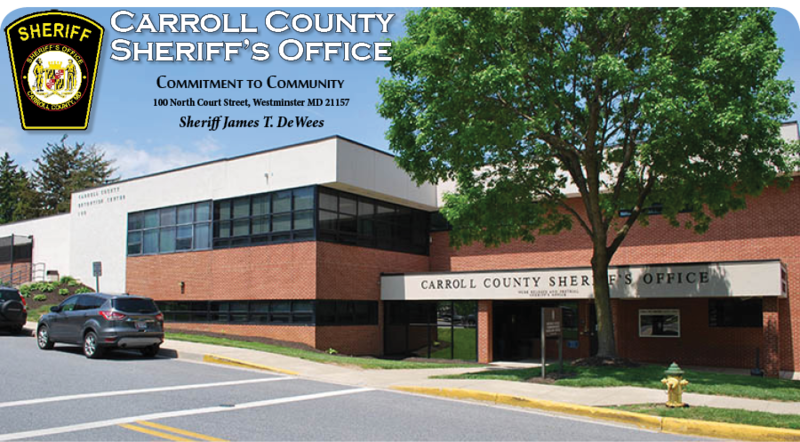 Members of this workgroup are: Access Carroll, Carroll County Sheriff’s Office, Carroll County Youth Services Bureau, Carroll Hospital Center – Emergency Department, Behavioral Health Services Administration. Department of Juvenile Services, Emergency Medical Services, Family Pharmacy, Hampstead Police Department, Maddie’s House, Partnership for Healthier Carroll County, Weber Sober Homes and the Westminster Police Department. Prescription drugs are a great aid in society when used in the prescribed way but if not used as intended they can be highly debilitating or even deadly. Parents need to be aware of the dangers of all prescription medications their teens may have access to regardless of to whom the prescription is written. Keep track of the current prescription amounts so you know when the supply is less than what it should be. Know what websites your children are viewing. Many prescription drugs can now be purchased through the internet from third party and/or out of country dealers. Be diligent in where and what your teen is doing when not home with you and become familiar with the terms “Skittle or Pharm parties” or your son or daughter “going to the Pharm”. These increasingly popular gatherings, hosted by other teens, are where pills taken from prescription bottles in your home, are tossed into a bowl where they are shared by all. Teens are often fearless in this approach adopting the attitude that they are untouchable and beyond consequence. Add alcohol to the mix and the results can be devastating. Talk to your teens and inform them of these dangers. According to a report from the National Institute on Drug Prevention “NIDA”, 52 million people over the age of 12 have used prescription drug non-medically in their lifetime. Prescription opioid – related deaths increased in Carroll County from five in 2011 to 17 in 2012 in Carroll at a time when the rate declined almost 13 percent in Maryland, from 335 deaths in 2011 to 293 deaths in 2012 (source: DHMH). A subject looking to purchase a prescription opioid can expect to pay $1.00 per milligram on the Carroll street drug market and sometimes even more (source: Carroll County Drug Task Force) . Signs of narcotic use: constricted (pinpoint) pupils, cold clammy skin, confusion, convulsions, slowed breathing and extreme drowsiness. Pills and capsules that can be swallowed, smoked, snorted and injected. Signs of Stimulants use: increased blood pressure and heart rate, dilated pupils, insomnia, loss of appetite, physical exhaustion, excessive sweating and abdominal cramps (source: NIDA). Synthetic Marijuana goes by many names such as Scooby Snax, Bomb Marley, Mad Hatter, Kush, Puff-Puff, Klimax and Jokers wild. One of the most popular is K2 or “Spice” which is a mixture of herbs and spices that are typically sprayed with a synthetic compound chemically similar to THC, the psychoactive ingredient in marijuana. Anyone, including children, can purchase this product from various internet sights, friends and in some areas, local retailers. With the sale of high grade marijuana selling for up to $600 an ounce, synthetic marijuana is a cheaper alternative for a “high” because it sells for about $10 a gram (price source: Carroll County Drug Task Force). Even a first time use of synthetic marijuana can lead to illness or death. According to the University of Michigan Monitoring the Future Study for 2013 there was a drop in the use of K2 among 12th graders. From 11.3% in 2012 to 7.9 % in 2013, among 10th graders, a drop in the use of k2 from 8.8% in 2012 to 7.4% in 2013 and also a drop among 8th graders from 4.4% in 2012 to 4.0 % in 2013. Like marijuana “Spice” is mainly abused by smoking. Sometimes Spice is mixed with marijuana or prepared as an herbal infusion for drinking. K2/Spice is typically sold in small silvery plastic bags of dried leaves resembling potpourri and is marketed as “incense” that can be smoked. These usually carry a warning saying “Not for human consumption”. How does Synthetic Marijuana affect the brain and body? According to NIDA the affects are similar to marijuana causing elevated mood, relaxation, altered perception, extreme anxiety, paranoia and hallucinations. Symptoms include rapid heart rate, vomiting, agitation and confusion. Spice can also raise the blood pressure and cause reduced blood supply to the heart and in a few cases it has been associated with heart attacks. Regular users may experience withdrawal and addiction systems. There have been reported sales of synthetic marijuana throughout Carroll County however Manchester and Hampstead have since banned synthetics in their jurisdictions. As of this date, Sykesville, New Windsor, Union Bridge and Westminster have not. Psychological effects of synthetic marijuana are similar to those of marijuana and as a result was marketed as a legal alternative. As of October 01, 2013 however, Maryland has banned the use of these synthetic alternatives. Effects include loss of control, lack of pain response, increased agitation, pale skin, seizures, vomiting, profuse sweating, uncontrolled spastic body movements, elevated blood pressure, heart rate and palpitations. Users may also experience restlessness, severe paranoia, delusions, hallucinations and increased agitation (source: www.drugfree.org ).